Pro audio, Amplifier,Speaker,car audio etc.. 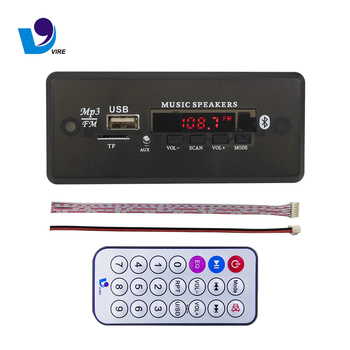 This MP3 decoder module can be applied to home theater system, portable speaker, refrigerator, sofa and furniture. As long as you make a room for this module, it works well. If you are a manufacturer, importer, and DIYer of audio system, the following information you may like it. It can bring wonderful experience to your constomers. Trust me, your choice is right! 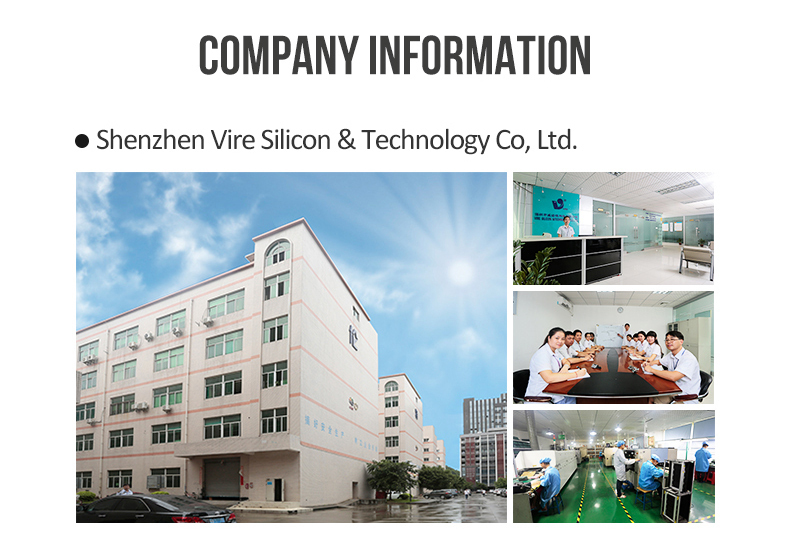 Shenzhen Vire Silicon & Technology Co,Ltd. Established in 2007, with 200 skilled workers and experienced R& D team, we gradually become the leading manufacturer and exporter of Audio Module/PCBA in China. The advanced testing and inspecting instruments, strictly quality control process make our defective rate less than 0.1%. Our products conform to most advanced international safety standards and environmental protection requirements, yet we have been certified by the IS09001:2008 Certificate, CE, UL, RoHS and other standards. And our customers are mainly from Europe, America, Oceania and Asia-Pacific region. 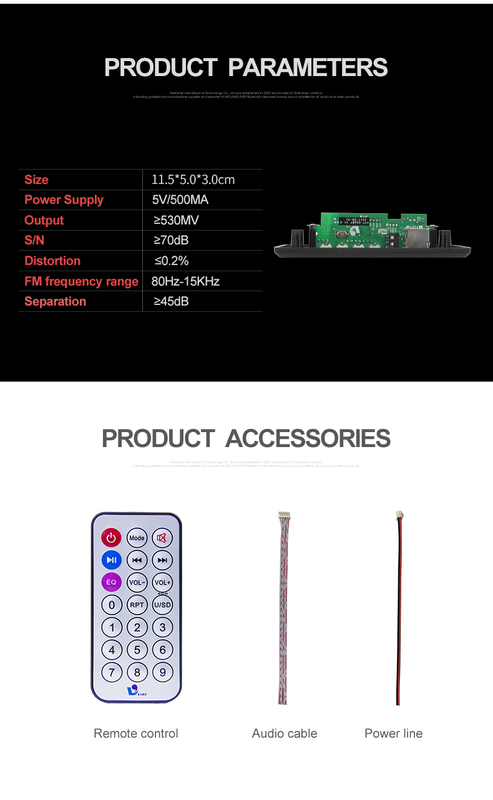 Professional engineers, hard-working staff and advanced equipment allow us to meet the requirements of the OEM, make variety customized audio module/PCBA quickly and reliably. VIRE sincerely hope to satisfy you by providing best products and excellent service. We're manufacturing company, founded in 2007, located in SHENZHEN, you can visit our company, welcome. 2. Is this a finished product or semi-finished product? This is a semi-finished product, we customize Audio & Video Decoding Board/Module on your demand. 3.What are the main functions of the product? FM radio. USB and SDITF memory card, AUX. 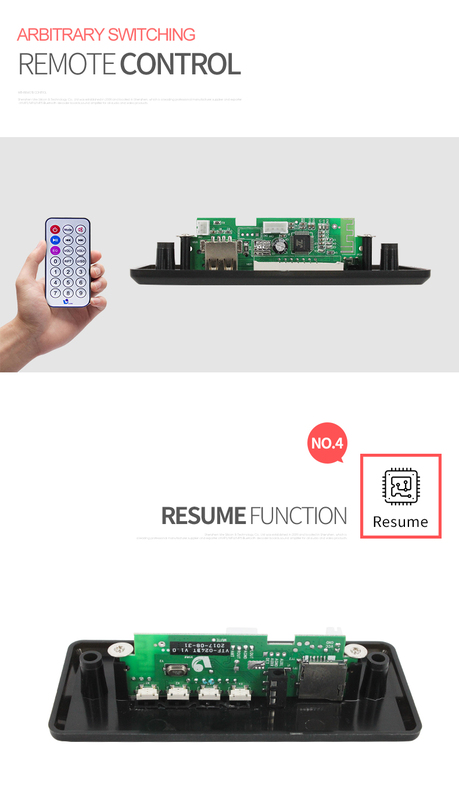 Remote control and Resume function are the basic functions. Besides. 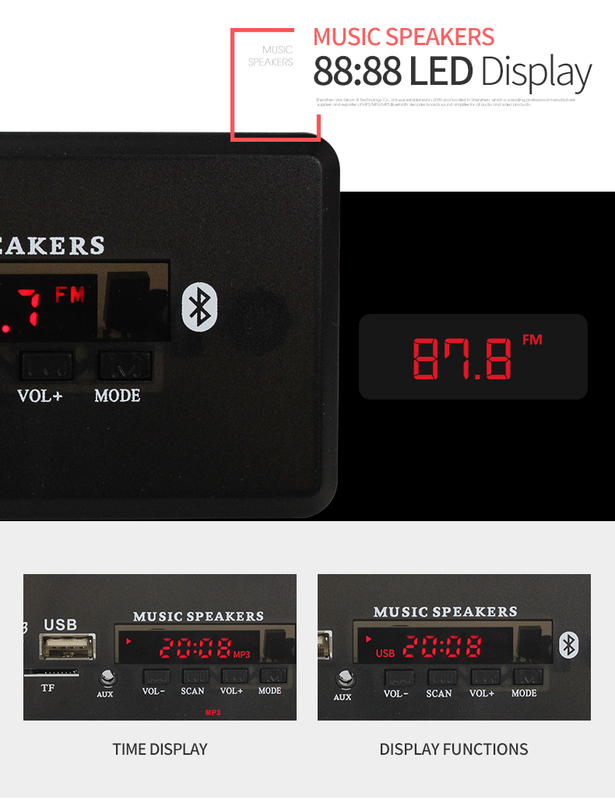 Bluetooth, Recording, Flash, Amplifier are customized functions for your choice. 4.What are the main features of the product? (1)Support Key function: Last song, Next song, Volume control,EQ, Play, Pause, Repeat. (2)Support switching external signals directly. (3)Support IR remote control in 8 meters. 5.Do you do OEM?Can we change the color?Use our own logo? Yes, we can do OEM for you with your required color and logo. 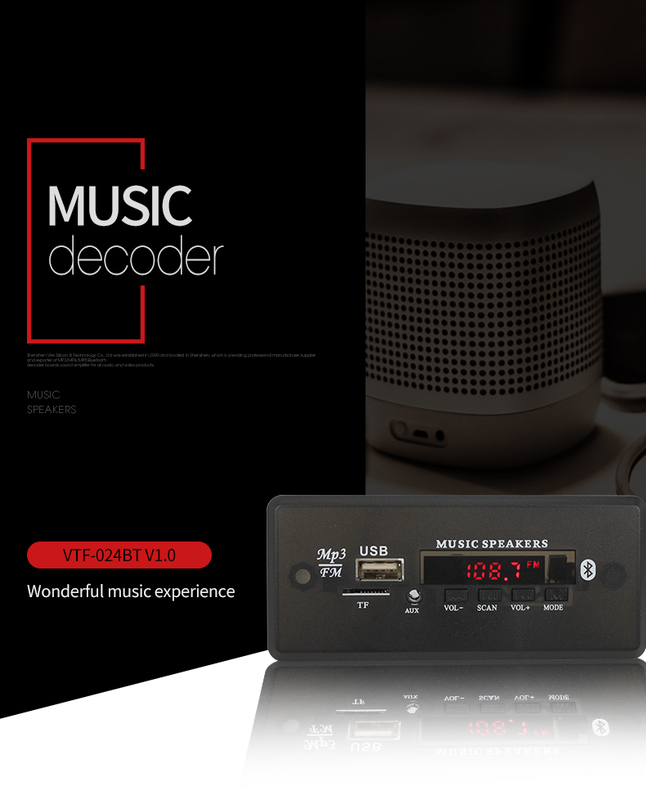 The supplier is ranked number 10 by reviews data in Portable Audio, Video & Accessories.